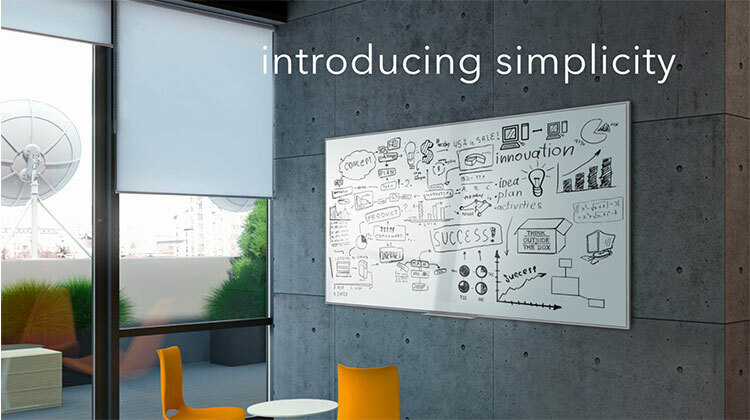 Simplicity was designed to bring elegance to your whiteboard. Designed to co-exist in the world of furniture systems and communication tools, the seamless lines and shadow-reveal are intentionally crafted to make the ordinary extraordinary. Couple these features with a next-generation Acrylite writing surface, and Simplicity becomes a one-of-a-kind communication tool. The shadow-reveal allows the writing surface to float proud of the frame, the overall depth is 1-1/8"
Acrylite is a lightweight, durable writing surface, resisting staining, ghosting and scratching. 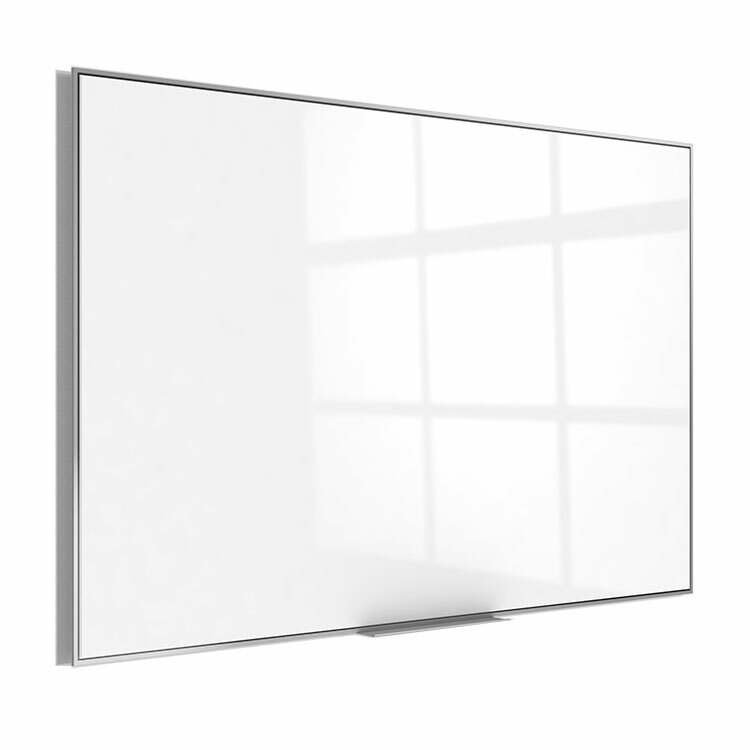 Whiteboard surface floats above the edge of the frame, making the board look as if it is floating. Aesthetic fits with modern offices and designs, adding heightened style and detail to a space. Slanted aluminum framing has a thin profile and casts a shadow on the wall, creating depth and dimension. Each board carries a 50-year manufacturer warranty and is made in the USA. 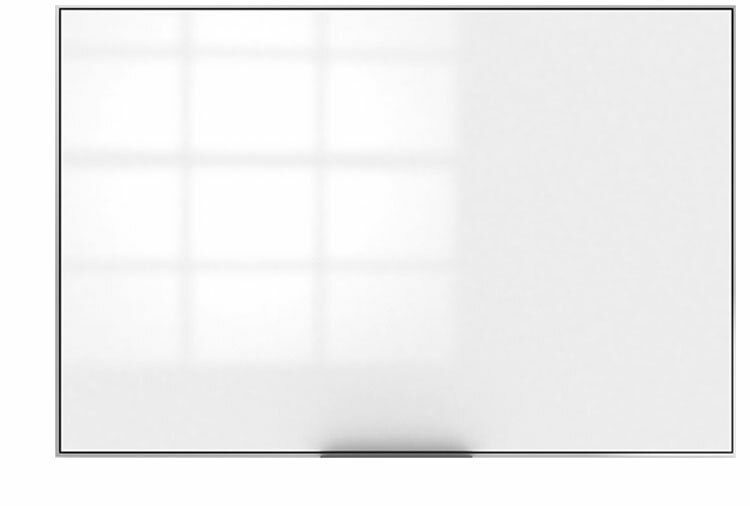 Ghent's Simplicity Whiteboard is the next generation writing surface, with the look of glass, but half the weight. 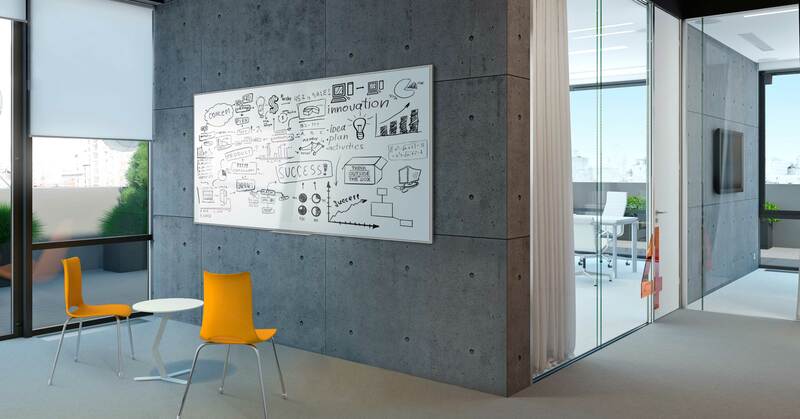 By incorporating a material never before used in corporate whiteboards, Simplicity offers a one-of-a-kind writing surface that is dependable and easy to handle. The bright white surface resists staining, ghosting and scratching, keeping the surface beautiful and dependable even after years or writing and erasing. 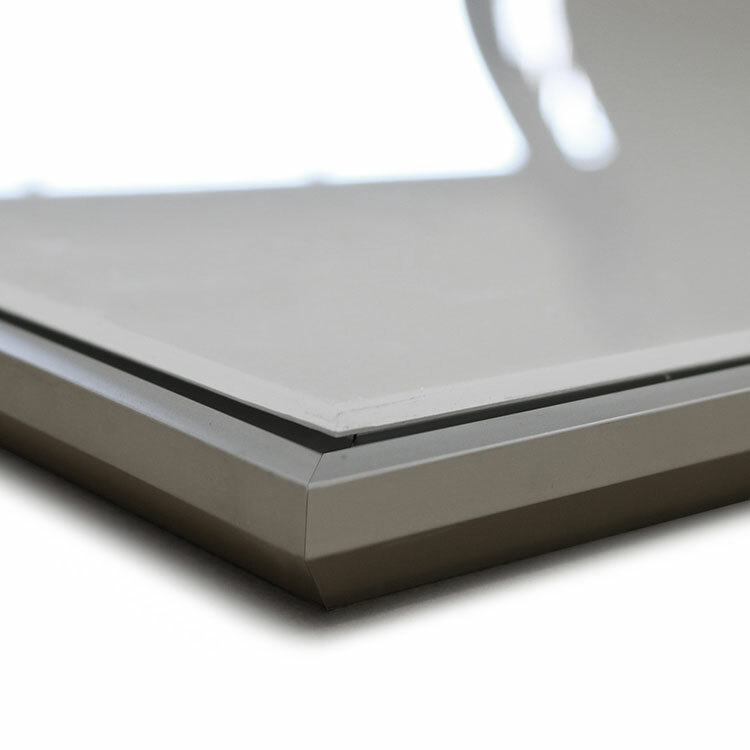 Paired with a satin aluminum frame that is designed to create dimension, the writing surface is bordered by a thin aluminum profile that defines the edges of the board and focuses your attention on the board. With a detachable accessory tray, you can store markers within arms reach, making it easy to clean and use in back-to-back meetings. Constructed with an invisible mounting system that uses a z-bar hanging bracket, installation is made easy, ensuring a level hang with minimal work. Available in 6 sizes, Simplicity dry erase boards can be placed in personal offices or boardrooms, with a style that will match and heighten the design of any space. Each board is packed in Ghent's worry-free packaging, designed specifically for shipping whiteboards. 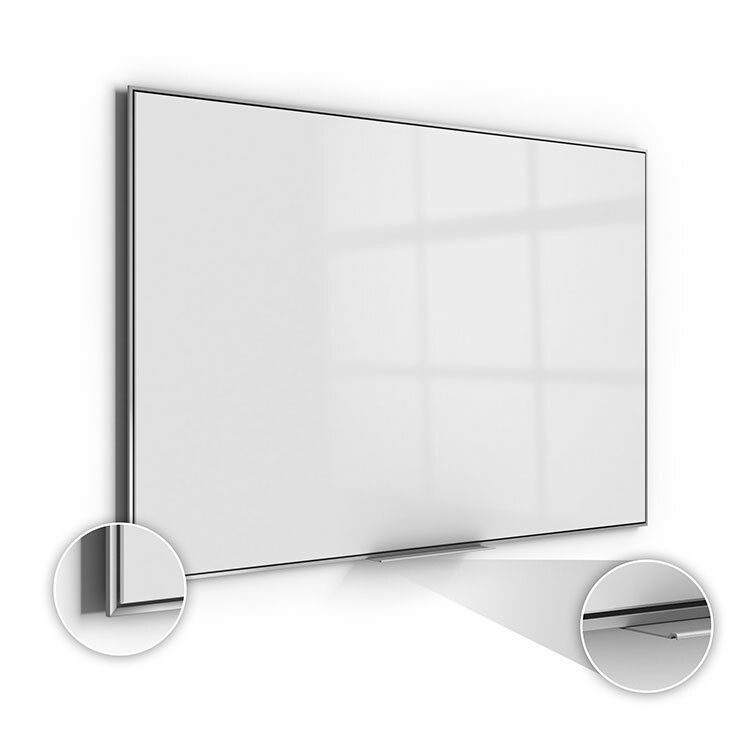 Simplicity Whiteboards carry a 50-year manufacturer warranty and is made in the USA.